So you think: "Translating and interpreting is easy, anyone who knows two languages can do it. Right?" Let's examine in detail what really it really means to be a translator or interpreter and what determines the cost of translating and interpreting. Knowing two languages does not guarantee that someone can translate or interpret well between them. Translators and interpreters must of course know both the source and target language at an expert level, (beyond the native speaker level) but also the regional variations of both languages. Are the clients Americans in California or British in London? Both speak English but it's not the same English. Supply and demand is another factor. How rare is a particular language pair? Some language pairs are more easily available than others. In order for a translator and interpreter to become an experts in his native tongue and also in one or more foreign language(s) most obtain a formal education. Few people take into account the years of study that is required to reach expert beyond native-speaker level for one or more foreign languages. 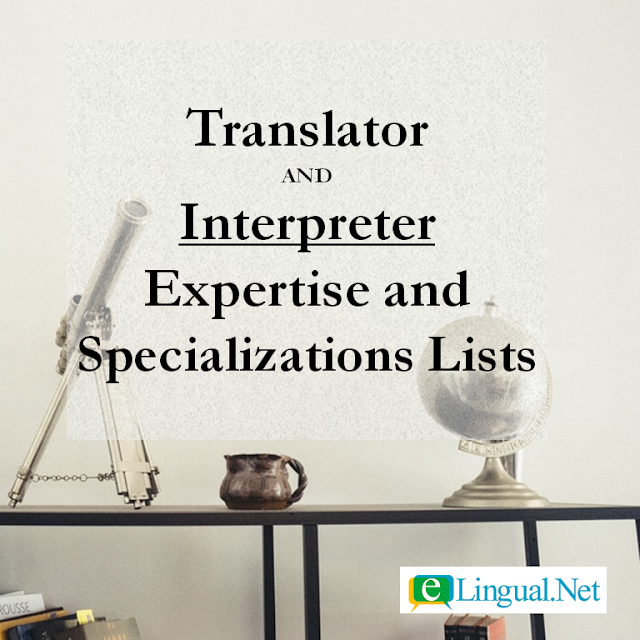 As with most professions, professional translators and interpreters receive training, certifications, and language degrees from colleges, universities or other recognized language programs. Translators and interpreters join professional organizations, engage in ongoing training, and attend seminars. They are constantly learning new terminology, improving their skill set, knowledge base, and acquiring experience. A formal education is not the only tool a translator or interpreter requires, they also need experience. There are two basic forms of experience, apprenticeship and work experience. Apprenticeship experience is a period of time devoted to acquiring education, knowledge, and working experience in a field that interests the person, for instance, law, finance, business, technology, medicine, etc, but does not necessarily directly relate to language. Later in life, they obtain a certification or complete a postgraduate course in translation or interpretation. Work experience is when the individual after receiving their translation or interpretation credential(s), volunteers their services for non-profits, friends, family, works as an in-house translator and/or interpreter for a company, freelances for various clients. Both types of experience entails a process that takes years, not months, definitely not an overnight process. Every translator and interpreter brings with them something priceless and unique: themselves. Each individual presents a vast collection of personal histories, background, culture, education, and knowledge. 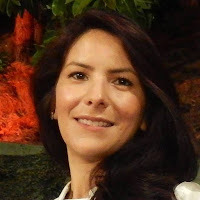 Each individual possesses unique life experiences, job experiences, and special skills. A word to a translator or interpreter is more than just a word, it's part of a context, it's a number of possibilities, of meanings, of combinations, of experiences, and so much more. Translators and interpreter use their vast number of resources, knowledge of language, culture, and experience in order to give the best rendition for every word and phrase, while keeping then in proper context and register. The list of areas of expertise and specializations is big and each genre has its own sub-genres and those have sub-genres and so on. Professional translators and interpreters specialize and become experts in a handful of topics. Each professional translator and interpreter takes into account their education, experience, and knowledge to focus their services in certain areas of expertise and specializations. For instance, in school they may have majored in law, have experience working with lawyers and knowledge of the legal system, so they decide to focus on criminal, family, and immigration law. Every translator and interpreter must know, understand, memorize, and specialize vocabulary in at least two languages. Taking in account that a common individual might not even use a specific specialized vocabulary in their everyday speech. So now we are ready for the good stuff, the actual act of translating and interpreting, or as I like to call it, the art of translating and interpreting. Translating.Translators work with the written word. A translators must be very skilled because a single source text has dozens, hundreds perhaps thousands of possible translations. Each translation is a long, complex, and even profound series of choices which a translator must make. Not just how to render a given word, but most often a phrase or paragraph. Localization is customizing the translation to a particular market, geographic region and/or culture. All professional translations are publish ready. Interpreting. Interpreters work with the spoken word. Simultaneous interpreting is interpreting in "real-time" while others are speaking. This is an extremely complex mental tax, requiring concentration far beyond what most people usually experience. Just to give you an idea of the difficulty, interpreting has been compared to working as an air traffic controller. Consecutive interpreting is interpreting when the speaker talks clearly and pauses every phrase or so to give the interpreter time to render the interpretation. The interpreter listens to a segment of speech, the speaker stops to allow the interpreter to speak and so on. Interpreters sometimes take short notes to help recall key words or numbers. The best professional translators and interpreters follow, practice, and uphold a strict code of ethics. Translators and interpreters always strive to convey meaning faithfully, accurately, and impartially. They promise to keep and protect privileged and confidential information always. 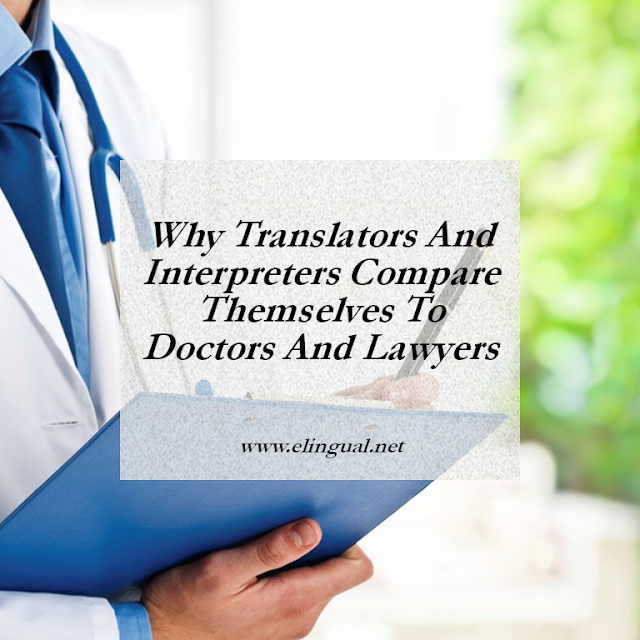 When professionalism is upheld at a constant level the translator and/or interpreter builds a great reputation. 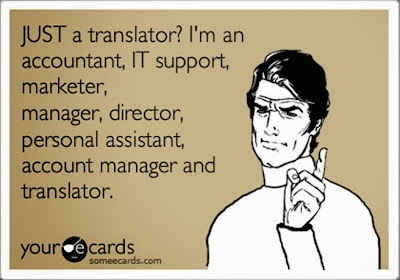 Professional translators and interpreters strive for the best translation or interpretation. A translator's and interpreter's unique choice of words is a result of the all the factors we have examined above. 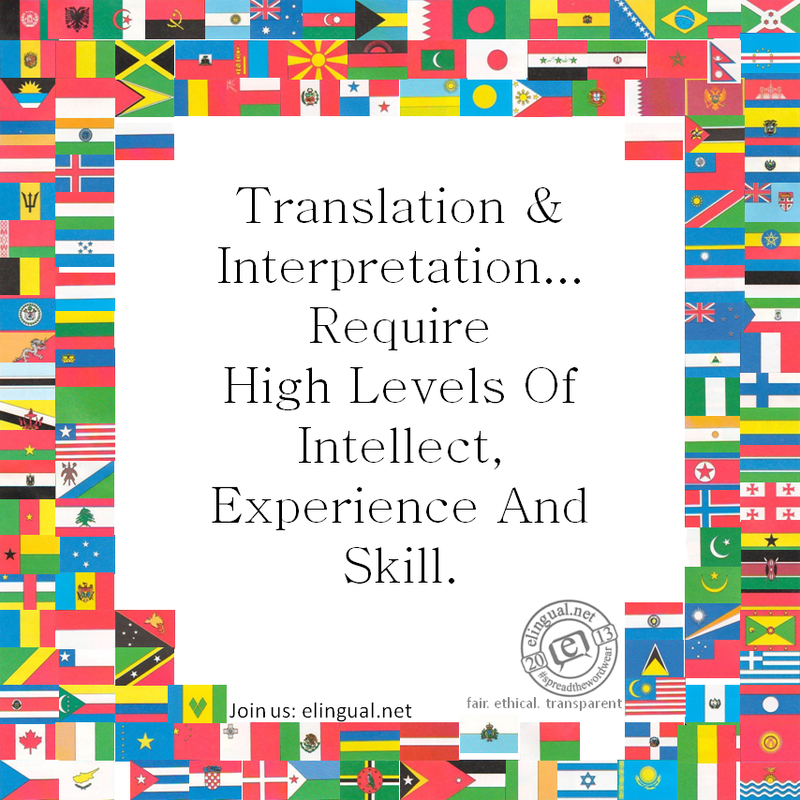 Quality translations and interpretations come from great professional translators and interpreters who are highly skilled qualified experts. That being said, they don't work for free, common sense, you get what you pay for. As with all businesses there are costs of doing business. The freelance translator and interpreter are business owners, they pay for expenses just like any business. Business expenses may include marketing, technology, software, Internet, telephone, office space, supplies, equipment, taxes, insurance, travel, social security, etc. Last but not least, the job details. Many of you might have thought this would be the first and only deciding factor to determine language costs but as you have learned, this is actually the last piece of the puzzle. Below are just a few details the interpreter and translator will take into account before considering and quoting a job. Will the job be quoted by the word, line, page, hour or project? How many words or pages is the document? How much research is required? Does the client have any reference materials or existing translations? In what format is the document? Are there many graphs and/or tables? Does the translator need to convert numbers and dates? In what format is the translation needed? Will the translator need to edit or proofread? Is the job local or out of town? How many hours or days will it last? Will the interpretation be simultaneous, consecutive or both? Will the interpretation be face-to-face, inside a booth, via phone or skype? Will equipment be provided or will the interpreter need to lease any equipment? How much in driving time, mileage and/or parking fees? Will the interpreter need time to prepare? Will the client provide a partner interpreter if it was needed? 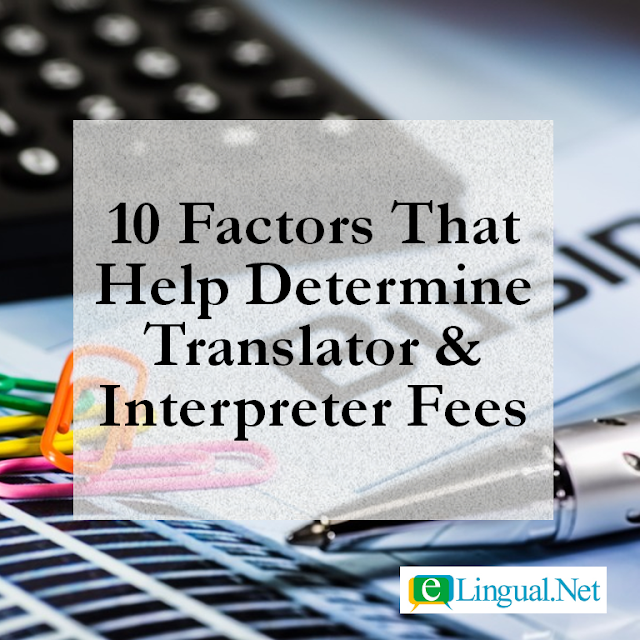 When the client cancels, what is the interpreter's cancellation fee? What is the interpreter's overtime fee? What other expenses will there be, like meals, hotel, airfare, transportation, parking etc? As you can see translating and interpreting are no easy tasks. 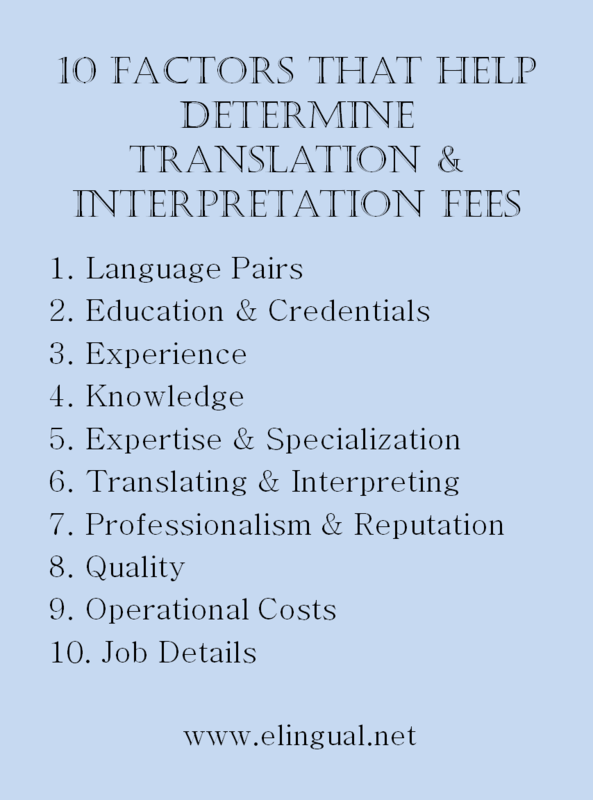 Excellent and professional translation and interpretation services come at a cost. 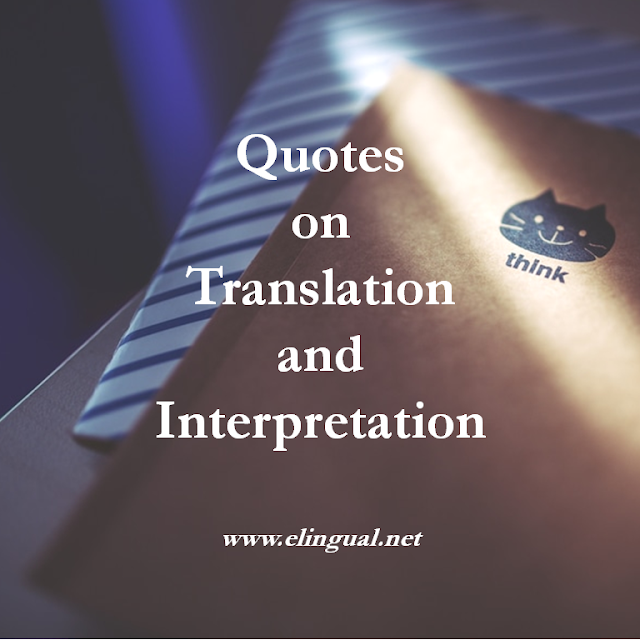 Translation and interpretation when done correctly, is an art. They require high levels of intellect, experience, and skill. Great professional translators and interpreters provide you something truly priceless: clear and smooth communication.